Just a few of the deliberately obscurantist and emotionally misleading headlines following the 13/11 “terror” attacks in Paris. While quite rightly reporting the truly horrific scenes in Paris on Friday 13th 2015, the mainstream media conveniently forgot the ghosts & surviving families of the victims of another terrifying atrocity committed on Parisian streets by the “terrorists” concealed within France’s own security apparatus, that turned its violence and brutality onto France’s Algerian community, protesting France’s colonialist war in Algeria in 1961. 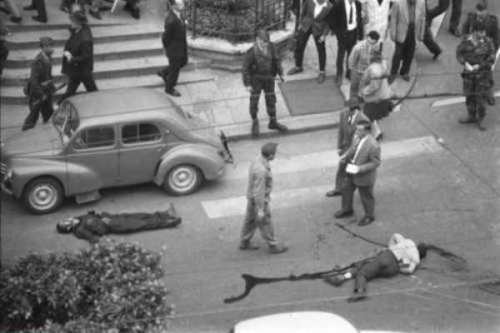 The mainstream media conveniently forgot to mention how the streets of Paris ran with the blood of more than 200 Algerians in 1961, whose bodies were unceremoniously dumped into the Seine. The mainstream media forgot to mention the hundreds more who were brutally beaten, imprisoned and tortured under interrogation. The mainstream media forgot to mention that France’s colonialist policies abroad and domestically had led to these peaceful protests and that French police had responded with violence, murder and vicious repression. 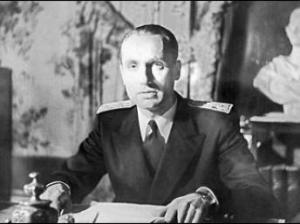 The mainstream media did not “forget”, it just rewrote history to conceal France’s despotic colonialist past and the terrorism carried out by its own officials on French soil. This demonstration on October 17th 1961 was no colour revolution orchestrated by NATO and its allies. 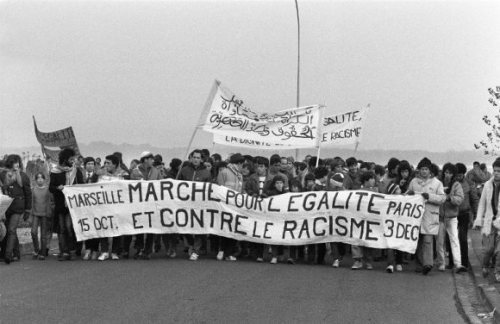 This was a genuine & peaceful protest against French neocolonialism and it was suppressed by a Fascist regime, whose crimes against this marginalised section of Humanity have been universally swept under the NATO carpet. The refusal to recognize victims boils down to a message that one person’s life doesn’t have the same value as another’s. 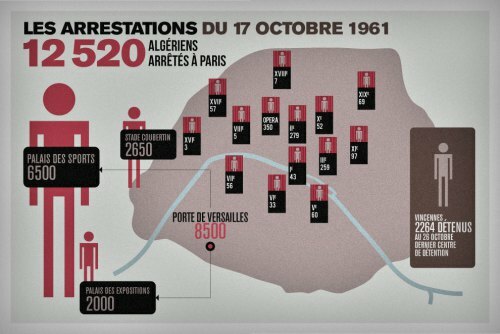 And 17 October 1961 shows that the life of an Algerian was worth very little. “What was the plan behind the 17 October demonstrations? And what exactly happened on that day? The police knew about the demonstrations the day before. And they knew the demonstrations were going to be peaceful. The FLN leadership had sent out an order that the demonstrations must be peaceful. Protesters were not to confront the police, even in response to provocation or repression. No protester was to carry anything that might be considered a weapon—not even a penknife. It was a Tuesday, and it rained. Police numbers had been swelled by reinforcements from other forces. They carried out raids in Paris and its suburbs. The raids intensified as the day went on, to the point where the police no longer had enough vehicles. 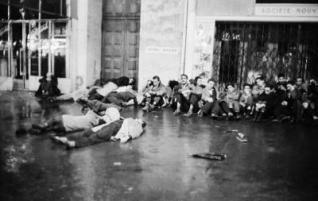 They had to requisition public transport buses to transport Algerians to internment centers. Some of the demonstrations still took place despite the raids. They tried to converge on the great squares of Paris. Several thousand people set off from the slums of Nanterre. When they reached the Neuilly bridge, cordons of police opened fire. Demonstrators were killed. Others were thrown into the Seine. These scenes were to be repeated throughout the night on a whole series of bridges. Another large demonstration left Place de la République and proceeded without the slightest incident along the Grand Boulevards up to Place de l’Opéra. There, faced with police, the procession attempted to turn back. They got as far as the Rex cinema when the police opened fire. Here too there were deaths. 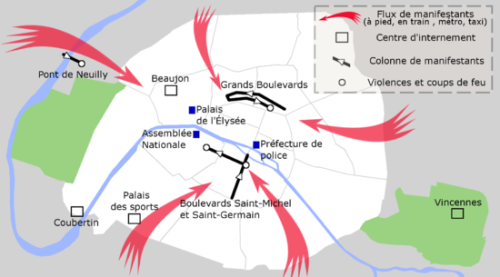 Other demonstrations took place in the Latin Quarter and on the Champs Elysées—but briefly, as the repression came down very quickly. A hunt was on, across Paris and its suburbs. Large numbers of people were arrested, wounded and driven to various internment centres. Police station courtyards were full. People trapped there suffered extreme violence at the hands of the police. These crimes continued throughout the night and in the days that followed. “A COLLEAGUE of mine in Cairo told me a story a few years ago about a massacre in the streets of Paris. He was a news service reporter at the time of the violence in the French capital – Oct. 17, 1961 – and saw tens of bodies of dead Algerians piled like cordwood in the center of the city in the wake of what would now be called a police riot.